-Now it’s Friday night and it’s game time… Are you ready? Many athletes face these conditions and worry they aren’t ready. 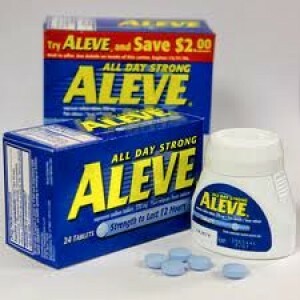 Their bodies may be aching from earlier games and practices that week and they turn to their pre-game best friend, Advil. But what they may not know is that they may be damaging their bodies with excessive ibuprofen rather than helping themselves. “I’d take four before a game, it made me less sore,” one senior varsity athlete said. “I have to take four because I feel like I’m immune to two because I’ve been taking it for so long,” a junior at Penn Manor said. It’s an accepted practice among many athletes on teams at Penn Manor to take the over-the-counter painkillers before the game, not just after. Advil, Aleve and ibuprofen are among the painkillers taken BEFORE they play and also before they feel any aches, pains or stiffness associated. 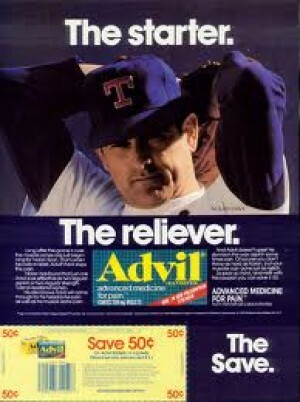 “I have to take two Advil and two ibuprofen before a game. If I only took two I wouldn’t feel as good,” a senior baseball star said. Are these athletes really feeling better after the medication? Is it a placebo making them think they feel better? Is it actually causing more problems than it’s solving? The truth is, these athletes say they are actually feeling better after taking these relievers, but that’s not necessarily true. The problem is that if athletes feel really sore, some think they need triple or quadruple the actual amount of the preferred dose when this in fact is not the case. The 2010 edition of the Physicians’ Desk Reference strongly warns patients not to take more than the recommended dose, not to exceed use for more than 10 days unless directed by a physician and to use the smallest effective dose. One of the many side effects of taking ibuprofen is a severe allergic reaction. Another problem with athletes taking these medications, according to the same source, is that the pills may raise blood pressure during the contest or event which could easily affect players’ ability. And there can be even more severe results of taking too much ibuprofen. According to research institutes, Ibuprofen overdose damages your internal organs like the liver. While in some cases it has been reported that it has result in a permanent liver damage, in other cases where the victim was taking the dose for a long and continued period it has resulted in organ failure one by one. Second question is, are these athletes aware of the negative effects? The responses from athletes were much the same. “I didn’t think so. I always felt fine and have been taking them all my life,” said one. “I just do it,” said another. It’s not clear whether coaches are aware of the extent of this practice. Final question, Did you know that many athletes are taking 4 ibuprofen before participating? My Coach asks me for Advil, he is aware of it, I usually take 4 before a game and I take it so my blood is thinner an it flows better, also if I get hurt it won’t hurt as bad.